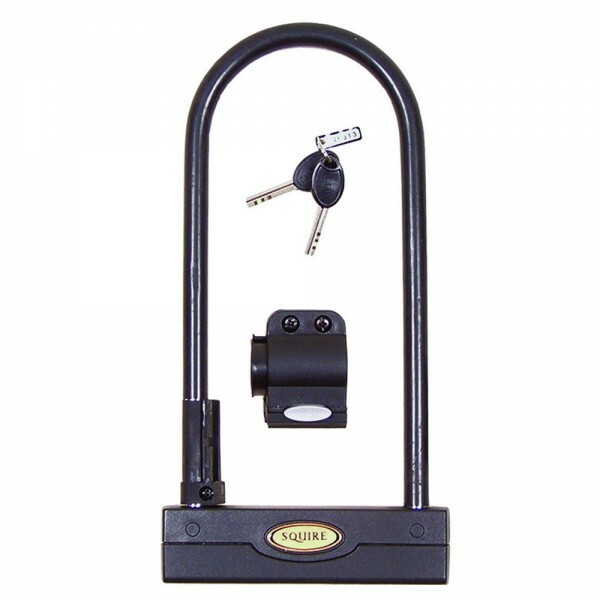 Squire's 'D' locks are a popular choice for those seeking a high security product. All cycle locks come with a carrying bracket which conveniently attaches to the bike frame and holds the lock securely in place while on the move. The locks are modern, attractive and easy to use. The Squire Challenger has a 4 pin tumbler locking mechanisms.